Do You Prefer Open-Source or Premium Software? One of your decisions when you’re getting ready to download software is whether or not to use open-source or premium software, whether you want software that is already complete or whether you want to have the option to change and distribute it. It can also be a difference of whether you want to obtain it for free or pay a set price. We asked our writers what they prefer. Derrik is also a Linux user and prefers open-source software. Premium and closed software doesn’t appeal to him “as I’m not allowed to modify it,” and he’s not a fan of “big companies and monoculture.” Yet, if a closed source program worked better than an open-source version, he’d use it. For me, I’m a dedicated Mac user, and I’ve never come across open-source software for Mac, but I’ve yet gone looking for it, yet I do know it’s out there. Either way, I’m satisfied with the software I can buy as well as free software, so I’ve never had the need to branch out. For the most part, our writers don’t stick to any hard and fast rule when it comes to open-source and premium software, and they would switch from their normal if they found something better. What about you? Do you prefer open-source or premium software? Image credit: Come in we’re open source. I agree with Derrik. I am not a fan of big companies and their enforced monoculture. Therefore, I not only prefer but use only open-source software. In regards to open source for the MAC…. Open Office and Libre offer MAC versions and they work very well. It depends on the functionality of the software. If I can accomplish everything with the open source software, then I would rather use it vs the close. One reason is the cost. My only problem is that in many cases it seems that the open source is missing the one piece I need to use. I wanted to switch to Linux on my Windows Laptop but cannot because I have to use Rapport to sign onto work and there is no Linux support. Also, had to switch to Office from Open Office because of VBA development. We do VBA development at work and Open Office does not seem to support development (if someone can correct me on this… I would love to go back and get rid of my office). I’m of the same opinion as those in the article but with one caveat. I think that “power users” are a little more willing to wade into the open source waters than casual users. Most of the users I support just want it to work but they also want it to be familiar. Most users today have been using computers for some time now and are use to Microsoft Office or Internet Explorer. It is what they have always used and tend to cringe when faced with something “new” that supposedly does the same job. Remember I’m talking from their standpoint, not my own. I think it is important that, if you support a group of users, that you thoroughly test the open source program with a subset of casual users so you can understand why they may not like the open source version so that when you train the larger group you are prepared to face those challenges. In the end, it is awesome to not have to pay for something (like LibreOffice) but if the productivity is affected or support becomes a challenge, you are not really saving any money. I started using linux in 2009 and after a period of adjustment figuring out which open source apps did what, I have completely switched away from any MS products. I use GIMP instead of COREL or PHOTOSHOP and Libre office and mostly Google online docs. google-chrome for browsing VLC for multi-media etc. Open source *only*. I despise that most closed source apps really aren’t that good and still want to charge exhorbitant amounts tpo use it. Also, one does not get to look into that app to see what it’s doing on your system – is it sending info home? Is it looking at sensitive info that you don’t want it to see and send back home? Is it actually a farce and nothing but a scam/virus/adware/malware since you aren’t allowed to see how it works? If I need something that any particular open source app doesn’t do, I’ll find one that does or use two or more apps to achieve the needed progress. It’s mostly the closed source crapware that keeps garbage like ‘flash’ on websites still (that and the laziness of the programmer/webmin!). 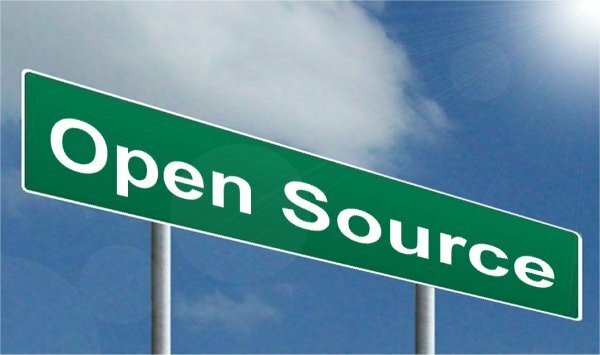 Open source – Give me Freedom, or give me Death! I run a Freeware / Open Source Special Interest Group at my computer users group, so I think you can guess that is my preferred type of software. However, I do use some closed source and non-free software, when that is the only choice to get done what I need. I also stress in my meetings that if you really like the software, and there is a way to make a contribution to the author, you should. I have. Or, do you prefer open source or closed source? Google and Apple clearly prefer open source software. Both operating systems are based on open source systems. Hawker Packard also use lots of open source stuff, according to one of its Directors at LinuxConfAu 4 weeks ago. Many other big names also embrace open source. I concur, the way you put the question implies that paid software is better. But is it? Closed source operating system (windows) seems to be more vulnerable to attack; or is it that attackers simply prefer to attack it. Sure their are times when it is easier to pay for something and hope it works as advertised. I prefer to reaearch programs to ensure that do what I want without jumping through hoops. I also like to give something back where I can, to encourage programmers to keep trying. Calling closed source software “premium” is a joke …right? Open source when possible. There is an open source program for just about anything that an average computer user could possibly need to do. The GUI might not always be as flashy and sparkly as something you would pay for, but in the end it gets the job done. I’m more concerned with functionality than aesthetics. Additionally, I’d rather pay developers directly for things that I find useful than see my money go to a faceless company that really doesn’t care how well their product works, as long as they get your money. That is, the user interface. How intuitive/usable is it? Are the features grouped logically with your work-flow, and/or have a look-and-feel at least reasonably compatible with most other similarly-purposed apps you may already be familiar with? For example, running head-long into MS’s “ribbon” interface. After learning and using the VERY standard menus used in EVERY Windows app since ever, after ’07 we suddenly have to use what?! OMG, seriously?! Our Lady of Blessed Clairvoyance please save us! 1-800-MISS-CLEO stopped taking my calls the first week! For mission-critical/work-related uses – once Miss Cleo takes out a restraining order against you – then what? When the advertised features clash with unadvertised ones (bugs), who ya gonna call? Orkin? Tea-Leaves-R-Us, Inc.? The local retirement home to see how many have grandkids (“well, he plays lots of video games…”)? Just saying. Once you find that looks-perfect sure thing, just check for any available actual-user feedback, reviews, etc.